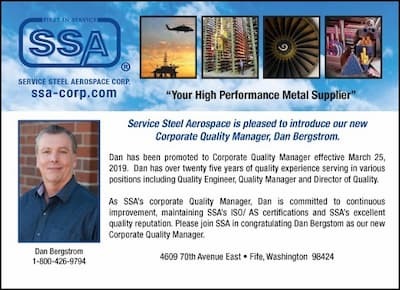 We are pleased to introduce our new Corporate Quality Manager, Dan Bergstrom! Our new facility in Canton, Ohio is now open. Our 80,000 square foot facility is located at 3359 Bruening Ave SW, Canton, Oh 44706. We're pretty excited about our new facilty and will gladly show you around. Give us a call at (800) 822-6358 for your own personal tour. PCC Supplier of the Year! 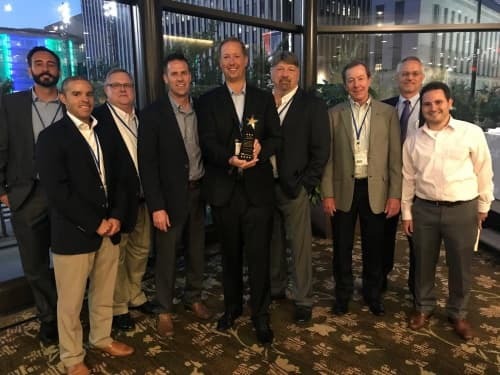 Service Steel Aerospace Corp. has once again been awarded the exclusive honor of being PCC Aerostructures' Supplier of the Year! 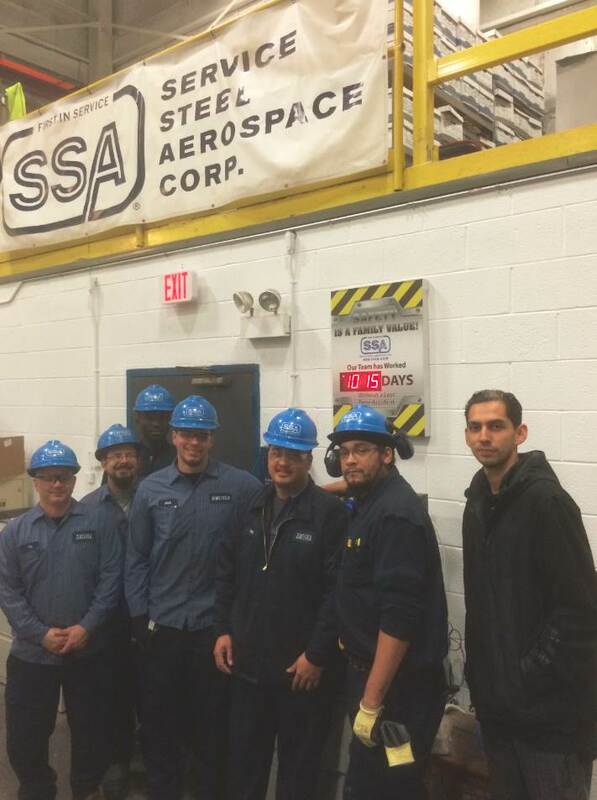 Congratulations to everybody at Service Steel Aerospace for your hard work and dedication to quality. Congratulations to the entire SSA team. 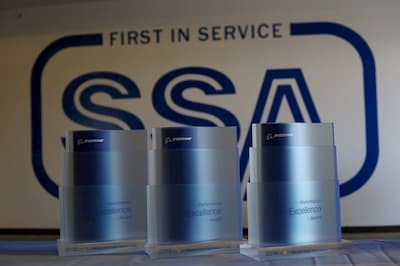 For the 6th year in a row, SSA has been awarded the Performance Excellence Award for Quality and On-Time Delivery by The Boeing Company. We are very proud to be part of this elite group of companies who Boeing recognizes as the best of the best. One of the many great things about SSA is that all of our customers, no matter how big or small, receive this same award winning SERVICE. Great job TEAM!!! 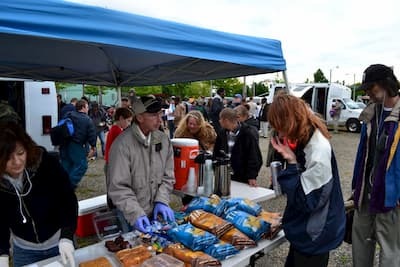 Congratulations to our Fife, WA branch on reaching 5 years without a lost time accident! That's not a typo ... FIVE YEARS! This team truly takes safety seriously. Way to go team! Since SSA’s recent 30,000 SF expansion in Wichita Kansas in late 2016, we have added a full line of Aerospace Specialty Metals and Value Added Services so we can provide the central part of the United States with award winning local service as well as local inventory for quick delivery. Service Steel Aerospace Corp. was awarded the exclusive honor of being PCC Aerostructures' Supplier of the Year! 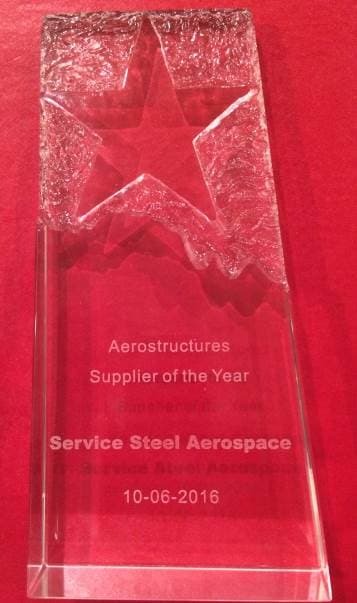 Congratulations to everybody at Service Steel Aerospace for making our company the BEST in the industry. Press Release - 3, 2, 1 ... SSA Has Landed in Wichita Kansas! Service Steel Aerospace Corp. has opened its newest facility in Wichita Kansas to support the surrounding high performance metals market with Titanium, Nickel Base Alloy, Stainless Steel, Maraging and Alloy Steel. SSA is excited to bring its Value Added Services to Wichita and the surrounding area. SSA is also celebrating this year its 40th year in business. Established in 1976. The Service Steel Aerospace Calculator App is now available for Apple and Android. Our app has been re-written to be compatible with both platforms. Now you can have a metal weight calculator for the following materials - Stainless Steel, Alloy Steel, Maraging Steel, Titanium, Nickel Base Alloy, INVAR, and Armor Plate on all your mobile devices. You also get quick unit conversions and phone numbers and email addresses to all our branches. 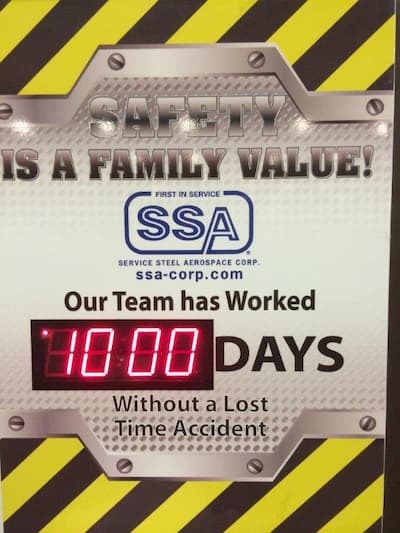 Congratulations to our Windsor, CT branch on surpassing 1000 days without a lost time accident! 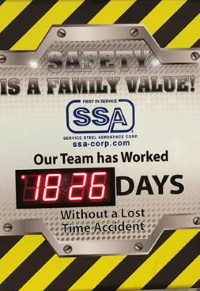 "Safety is a Family Value" is more than just a saying at Service Steel Aerospace and the Windsor team is walking the walk. Way to go team! 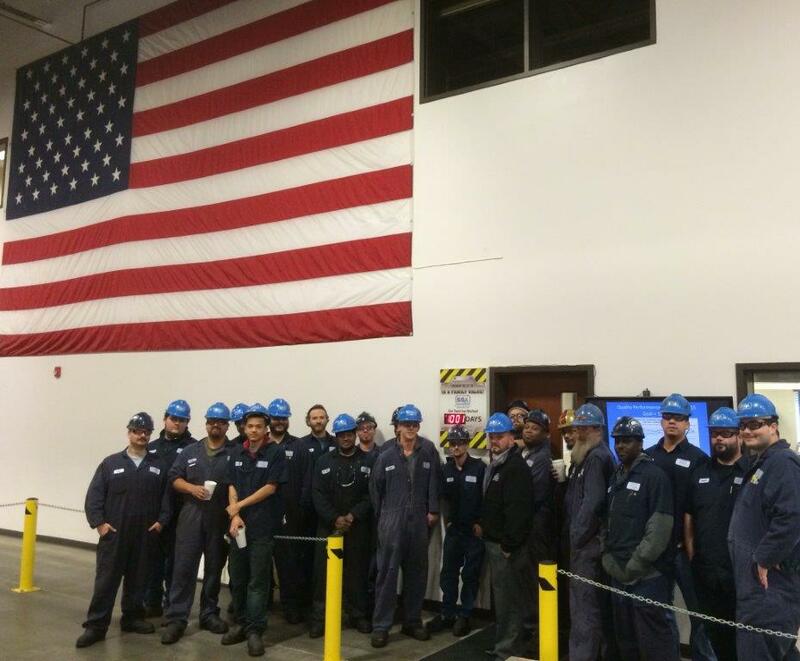 Congratulations to our Fife, WA branch on reaching 1000 days without a lost time accident! Safety is paramount at Service Steel Aerospace and the Fife branch is showing the world how it's done. Way to go team! Service Steel Aerospace is continuously striving to meet customer needs. 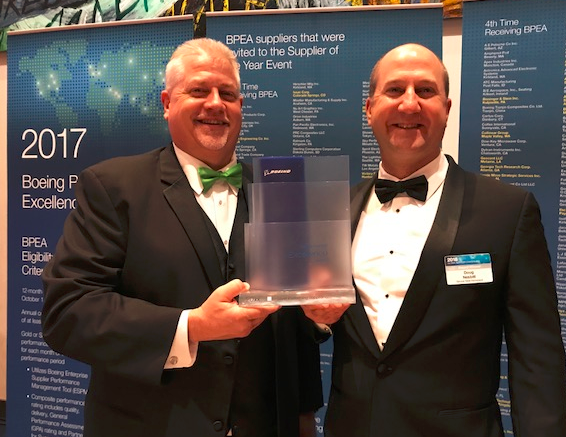 We are proud to once again receive the performance excellence award from Boeing. This is the third year in a row we have received this award! SSA will continue to put the customers needs first and get the material to our customers on time and with the best quality! Contact SSA today to receive a quote! If you and your company are looking for ways to REDUCE COST and SAVE TIME, SSA would like to introduce you to our easy to use barcode ordering system. Customized for each individual company's special requirements, and easy to use, you are sure to see immediate benefits. We look forward to hearing from you and setting up a demonstration! 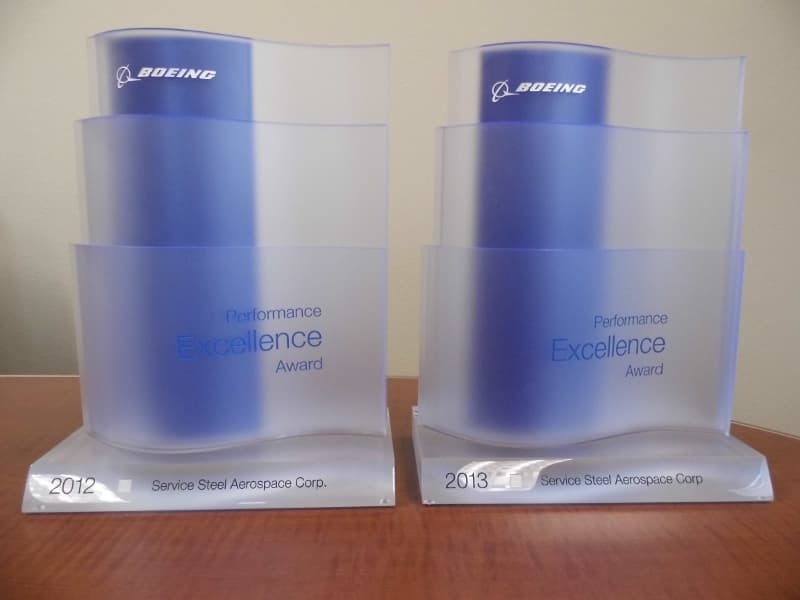 SSA was the proud recipient of the 2013 Boeing Performance Excellence Award. This is the second year in a row receiving the award for quality and on time delivery. Service Steel Aerospace is pleased to announce the appointment of Mike Avril to Corporate Quality Control Manager, effective immediately. Mike is a Certified Six Sigma Black Belt and has 16 years of quality experience in the aerospace and automotive industries. Mike will be responsible for overall quality across all SSA branches. 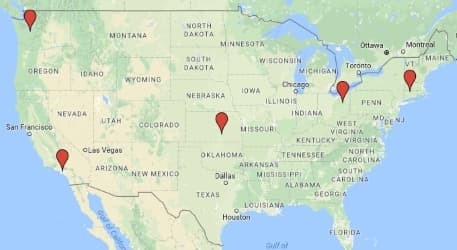 He will be located in the corporate office in Fife, WA. Please join us in welcoming Mike Avril to the SSA team. 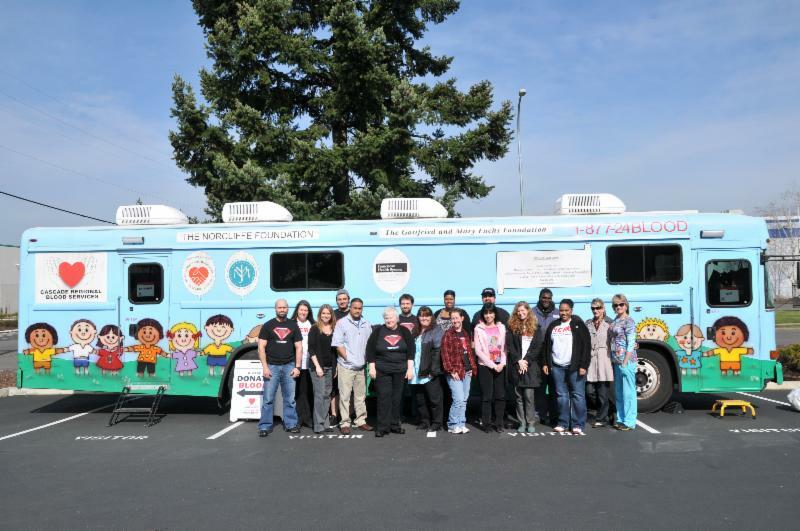 On March 13th, as part of SSA's community outreach program, with the support of Cascade Regional Blood Services, SSA had a mobile blood donation bus come onsite for a blood drive. Thirty employees volunteered to donate blood, potentially helping as many as three people for each employee's donation. SSA plans to hold this blood drive on an annual basis. Here's to many more successful years and increased volunteerism for each year to come. Service Steel Aerospace Corp. (SSA), has acquired the assets of RTI Connecticut from RTI International Metals, Inc. SSA will move our Bristol, CT location to the 30,000 square foot facility that RTI Connecticut operated in Windsor, CT.
SSA's continued expansion in the North Eastern United States further enhances services to New England and Eastern Canada customers. The acquisition will further expand SSA's product line into nickel alloys, which will now be offered throughout SSA's nationwide distribution network. We look forward to offering our customers an expanded inventory while continuing to provide you and your company the same level of award winning excellence for which we're known. SSA has a new FREE mobile app for your Apple and Android phone or tablet. The Apple version is available now for download, and the Android version will be available February 7th, 2014. This application allows you to quickly calculate the weight of an exact piece of metal by using the Weight Calculator function. We have also added a Unit Conversion program to help you convert units of measure very easily. Our goal is to continually add and expand to this product by offering you tools that will help make your job as easy as possible. Please let us know if you have an idea of a tool that you would like to see added in the future. Our new app is easy to download and easy to use. Just search for Service Steel Aerospace in your Mobile App Store. Please ask your local sales representative for help downloading this product if you need additional assistance. Stay tuned for more SSA App updates! Our Holiday charity initiative at SSA was a huge success! We collected cash and tangible items that will help lessen the stress of those less fortunate in our community. The cash donations will be converted into tangible items, such as blankets and sleeping bags. 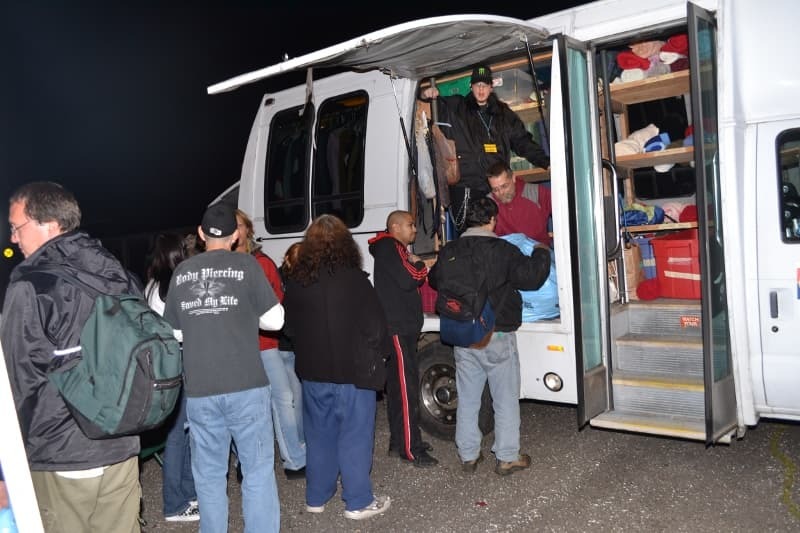 Below are pictures from the Christmas Night Street Reach event.